Methodists Gather in Parliament on Day of Crucial Vote. As MPs continued their heated debates about BREXIT in the House of Commons above, around 200 Methodists prayerfully renewed their covenant with God through the Methodist Covenant Service, a service of Holy Communion and prayer, that has been a part of the Methodist tradition for centuries. The Methodist Covenant Service was instigated by one of the founders of Methodism, John Wesley and has traditionally been one of the first Methodist services of any calendar year. The emphasis of the whole service is on God’s readiness to enfold us in generous love, not dependent on our deserving. 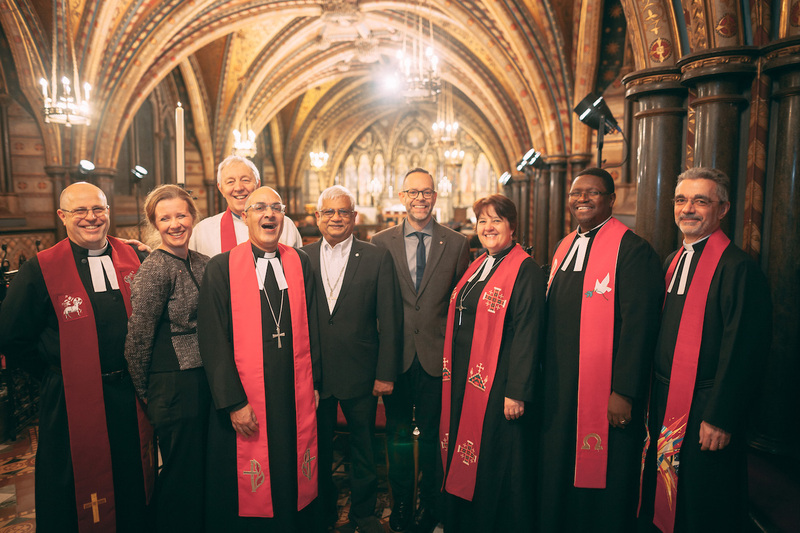 Since 1995 the Methodist Church has held a Parliamentary Covenant Service in the Palace of Westminster facilitated and attended by MPs, Members of the House of Lords and Methodists from across the country. Revd Dr Martyn Atkins, Superintendent Minister of Methodist Central Hall Westminster who facilitate the service said, ‘None of us know what the year will bring for ourselves, our families, our communities, nations and our world. We hope the service provided a time for those meeting to reflect and prepare for the year ahead, among others, and before God.’ The service took place in the historic Chapel of St Mary Undercroft on Tuesday, 15th January 2019. Methodist Central Hall is a global Christian family following Jesus at the heart of London. With members from over 35 national groupings the church has been based in its historic building since 1912. In 1946 the church moved out for two months so that the first meeting of the United Nations could take place in the Great Hall. In 1966 the Jules Rimet World Cup trophy was stolen from the building and the first performance of Joseph and Amazing Technicolored Dream coat took place.